Whenever you enter a Lush store, the smell of lovely natural perfumes comes right at you. Can you imagine what their manufactory must smell like? I know, because I was invited to spend a day in their factory in Düsseldorf. Here’s my report! 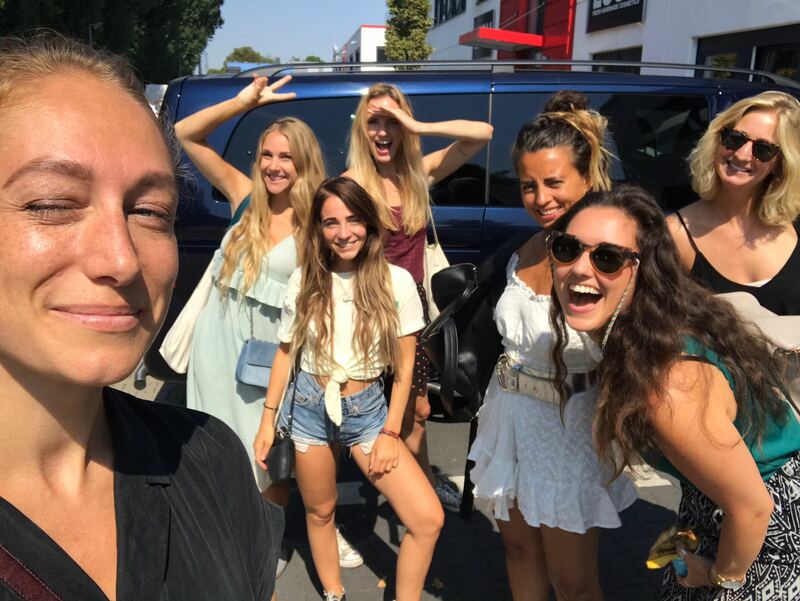 Together with these beautiful ladies (Milou Turpijn, Marije van der Made, Nathalie Kemna, Lisa Stel from Lisa Goes Vegan and two Lushies Ruby and Margreet) we drove to Düsseldorf. 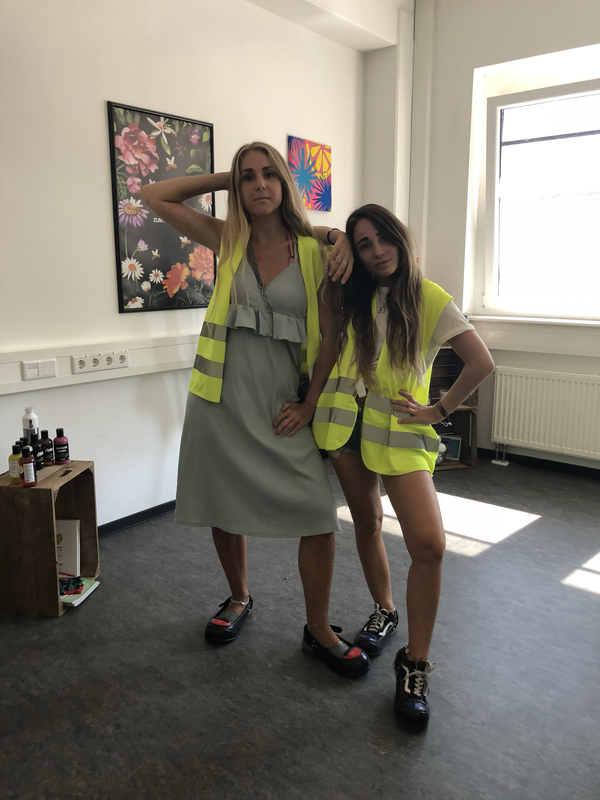 We were welcomed with drinks and snacks and were asked to wear protective shoes and a flattering yellow safety jacket. And off we went! Into the factory! Did you know that most Lush products are made by hand? Those bath bombs, shampoo bars and shower bars are made by hand, no robots here. And we got to try it out. There are plastic molds that are used to make a bath bomb. These plastic molds are used again and again, for as long as possible. By pressing the molds together, they create a bath bomb. 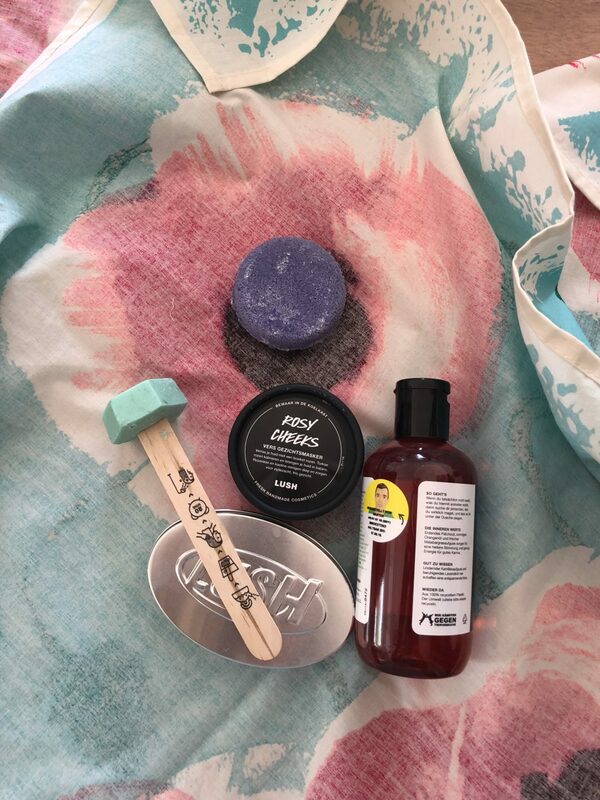 Most of the products Lush makes are package free, which makes them zero waste. We were shown the entire factory and got to make Lush bath spinners, bath bombs, shampoo bars and so much more. We even got a demonstration of how the Rosy Cheeks mask was made and then we got to try it out on our skin. Lush uses mostly natural ingredients, but not everything is 100% natural. You can easily check which products áre 100% natural by checking the ingredient list. Everything in green is natural and the black ingredients are chemicals. They also have a lot of vegan products! When we drove back to Amsterdam, the entire van smelled like Lush products. Só lovely! What a fun day this was, thanks so much to Lush for having us over.